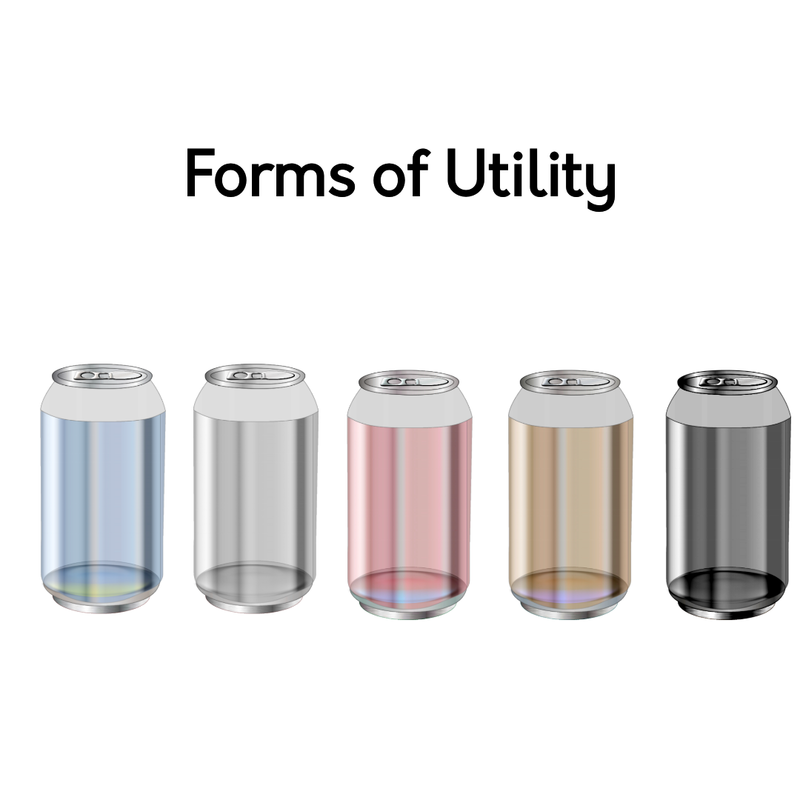 Form utility - Form Utility is a utility created by changing the form of a particular substance or commodity. 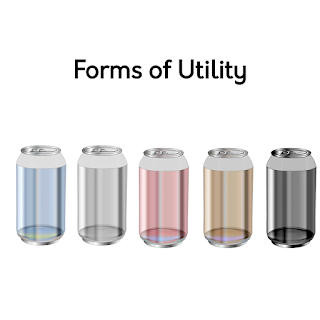 The Utility created by changing shape, size or color of a particular product is called as a form utility. For example, making furniture out of wood. Making furniture out of wood increases the utility of the wood. So utility created by converting wood into furniture is Form utility. Place utility. - Place utility is a utility created by changing the place of a particular commodity. For example, bringing crops from farms to market or to the place for consumption is an example of creation of the place utility. Knowledge Utility - Knowledge utility is a utility created due to increase in knowledge of the consumers. For example, the utility of mobile phone increases when a person understands what all functions it can perform. Thus, this is an example of knowledge utility. Possession Utility - Possession utility is the utility created due to change in possession of a particular commodity or substance. For example, the utility created by purchasing a car from someone is an example of possession utility. Utility created by having possession of the car from the seller is possession utility.